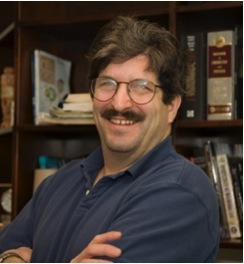 Gary Ruvkun’s research has explored two major themes: regulation by microRNA genes and other tiny RNAs, and control of longevity and metabolism by insulin and other endocrine pathways. His research revealed that the first microRNA discovered by the Ambros lab, lin-4, regulates the translation of a target gene, lin-14, to which it base pairs. The Ruvkun lab identified a second microRNA, let-7, which also regulates translation of its target gene via imperfect base pairing to the 3’ untranslated region of that mRNA, and showed that the sequence and regulation of the let-7 microRNA is conserved across animal phylogeny including humans. Thousands of miRNAs have subsequently been discovered and are now implicated in control of gene expression of across eukaryotic phylogeny. Saturation genetic analysis of the miRNA and RNAi pathways by the Ruvkun lab has revealed many of the protein cofactors that may mediate other steps in how miRNAs and siRNAs engage their targets. Some of these components may be developed as drug targets to enhance RNAi in mammals, a technical improvement that may be necessary to elevate a laboratory tool to a therapeutic modality. Dr Ruvkun's laboratory has also discovered that an insulin-like signaling pathway controls C. elegans metabolism and longevity. Recent insulin signaling mutant analyses in mouse and humans have validated the generality of these discoveries to other animals. These findings are also important for the eventual treatment of diabetes, a disease of insulin signaling. In addition, the Ruvkun lab has also used full genome RNAi libraries to explore the complete set of genes that regulate aging and metabolism. Many of the gene inactivations that cause increased survival encode the core conserved elements of cells that are targeted by antibiotics produced by fungi and microbes. These core genetic pathways may be surveilled for toxin and virulence factor inhibition so that a decrement in function is interpreted as a microbial attack. The immune surveillance endocrine states that are normally induced by poisons or genetic variation in these surveillance pathways may underlie a variety of autoimmune and other diseases. Gary Ruvkun is a graduate of UC Berkeley (AB, Biophysics,1973) and Harvard (PhD Biophysics, 1982). His honors and awards include the Rosenstiel Award from Brandeis University (with Victor Ambros, Andy Fire, and Craig Mello), the Warren Triennial Prize from Massachusetts General Hospital (with Victor Ambros), the Benjamin Franklin Medal from the Franklin Institute (with Victor Ambros and David Baulcombe), the Gairdner International Award from the Gairdner Foundation of Canada (with Victor Ambros), the Albert Lasker Award for Basic Medical Research (with Victor Ambros and David Baulcombe), the Louisa Horwitz Prize from Columbia University (with Victor Ambros), the Shaul and Meira Massry Prize (with Victor Ambros), the Dan David Prize for Aging research (with Cynthia Kenyon), the Ipsen Foundation Longevity Prize, the Paul Janssen Award (with Victor Ambros), the Wolf Prize (with Victor Ambros), the Breakthrough Prize in Life Sciences, the National Academy of Sciences, the Institute of Medicine, and the American Academy of Arts and Sciences.